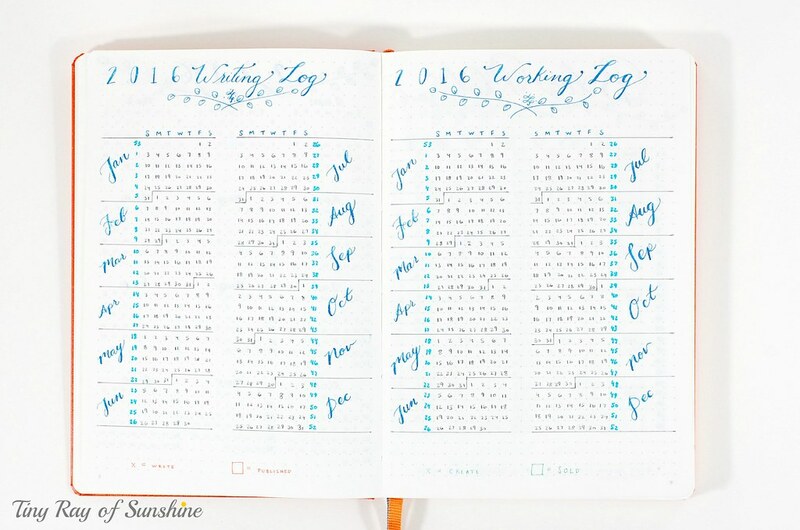 I've gone onto Pinterest to see the clever and artsy way people use Bullet Journals. I'm not artsy, but I like a lot of the areas around different ways of tracking and laying out goals. I'm looking for more creative ways to utilize the journal. Your own experiences are welcome, as well as Pinterest, blogs, websites...whatever! The bullet journal community on reddit is quite friendly & has lots of ideas. Some of the pages I've personally really liked doing in my own journal is a workout tracker (e.g., a little calendar, marking off the days that I've worked out) and a page that shows the pottery that I've made & where they are in the pottery making process, incl. what glazes I've used. I also have been digging more "self-help" style workbooks, so I'll buy those on Kindle & then work through the exercises in my journal. I have a very organized to-do journal that includes some elements of the bullet journal phenomenon. I've been working through some difficult stuff the last few months and it tends to trigger my sometimes-tendency towards avoidance (I have an Ask about this issue before). I realized finally that having an item on my to-do list which I keep not doing becomes a source of stress. usually by then the thing doesn't really need to be on a to-do list, I'm aware that I'm avoiding doing it. I made a page in my bullet-journal-type-journal that I call a blocklist- a place to move these "i'm emotionally blocked on x" item to. There's a heavy blocks one (I have some difficult actions I can't do anything about yet, conflict resolution I don't feel like I can deal with yet, and debt which depends on my finances improving before I can deal with it , etc) and another page that I do look at regularly which includes "this is starting to become a block" list (which is often super stupid mundane to-do list items which I get frustrated with myself for not getting around to). Having the "heavy" items in one place means I see them while in a sort of self-compassion frame of mind, without triggering frustration with myself or my circumstances in the course of looking at other parts of my to-do lists. I also made a short journal for 'accomplishments', which has been awesome to do. I just read the Getting Things Done book and realized that it's still important for me to have what he calls an inbox- a place where items go with no organization necessary, from which you have to file them to the correct places (in my case, lists) very quickly. So I have a random piece of paper temporarily taped into the front of my neat pretty organized to-do journal, and I scrawl random messy notes into that piece of paper without worrying about where it goes and what it depends on for execution and all that. Once the items get done or moved to their proper place in the various lists in my journal or the inbox is a mess of scrawled-out notes, I replace the piece of paper and reassess. That has been very helpful. My meal prep is a similar temporary page that only lasts a few days- I'll go through some cookbooks, jot down what I want to make this week plus the cookbook and recipe page number, and scrawl myself a shopping list if I'm missing the ingredients. When I go shopping I might take a snapshot of that note with me rather than carrying the journal unnecessarily. Recently I filled up my first 'bullet journal' and found that my 'accomplishments journal' had evolved into a diary in which I was writing in paragraphs and had thus run the notebook out of space before the other pages with other functions had really been fully used up. I didn't want to carry a separate diary around, though. To replace the full journal, I bought two very thin small composition books at Daiso, barely bigger than some kind of booklet (they're maybe 50 pages each and have grid lines of sorts- a lot thinner and neater than spiral bound notebooks sold in the US). I used one of them to make the organized 'bullet journal' type thing, in which I wrote out my to-do lists, tracking pages for various metrics I want to track about myself, my short term and long term planning pages of various kinds, various brainstorming pages, etc. The second journal I just used as a diary. I taped the two together so they make one single book that I carry around, and when I use up the diary part of it, I'll just buy a replacement one of these composition books and attach it to the still-viable organizer book to replace the filled-up diary. The Daiso product was this notebook (link goes to a pack of 10), except they had some in the store that were ruled but had a secondary gridline as well. They're not as pretty as having a Moleskine and all that, but I didn't care about aesthetics, I cared about bulkiness. After 3? 4? years of using a bullet journal daily, I finally upgraded to a moleskine. Mine is very utilitarian, but it works well for keeping track of things and using it as a personal journal. I don't draw or do anything fancy, and setting up each month takes only 15 minutes or so. I've kept fairly close to the original system with different bullet shapes, as I use grid pages, not dots. Even if I didn't do much during one day, I still try to at least record it and my SleepCycle stats. (Sometimes I like to think someone in 100 years will find my daily entries and find even the boring ones fascinating.) Each month has worked out to 10 pages each so far, and I still have plenty of room until the end of the year if I want to keep expanding sections, but I don't do this often. Most of the extra pages are used for shopping lists and packing lists. Etsy sellers have a lot of pre-printed pages, layouts, and stencils, but I feel like that's more hobby-focused than how I view and use my journal. I'm just starting one, but I want to track anxiety, depression, chronic pain levels, and variables like exercise, sleep, meals, and weather to see what impacts what. I am trying hard to overcome the idea that I don't need like 5 journals (work, personal, writing, financial, etc.). I'm using some of the features in iOS to limit my screen time, so hopefully this will force me to be a bit more analog. I am wanting to create my own self care list, and my daily care checklist. I'm pretty good about most things, but I think we could all use reminders to be nicer to ourselves.